Mission Beach Rotary’s newest arrival is Ania Buhler, a 17 year old student from Amriswil, a municipality in Arbon District in Switzerland. Ania was welcomed at the Club's weekly meeting on Tuesday night at Millers Bar and Grill. 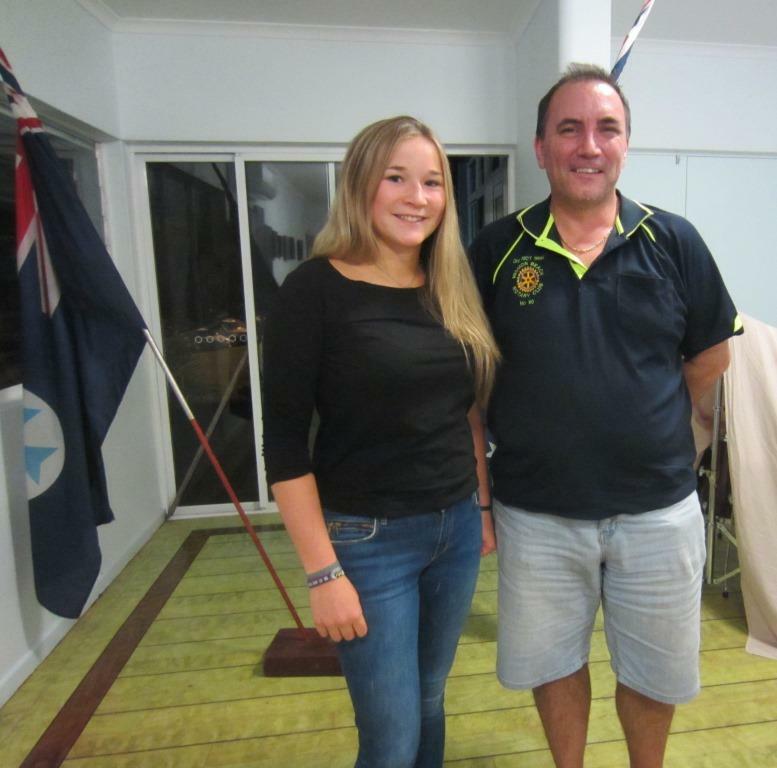 During Ania’s 50 week stay in Australia, she will be hosted by 3 local families on the Cassowary Coast and will attend the Tully State High School. Fluent in 4 different languages and a keen sportswoman, Ania has played handball for over 9 years. She also loves swimming, skiing and snowboarding and has travelled extensively with her family throughout several countries all over the world. Ania is looking forward to her Aussie cultural experience, meeting new friends and broadening her English.